Dundrum is a village and small port on Dundrum Bay. On a hill-top are the beautifully maintained remains of a great castle which was an important fortress of the abortive Norman Earldom of Ulster. The earliest castle, of motte-and-bailey type, was taken from de Lacy in 1210 by King John of England. The exact date of the stone castle is unknown, but the great donjon probably dates from 1230-40, the fragmentary gatehouse from c.1300. Sometime after 1333 the castle fell to the Magennises surrendered it to the Crown. It passed to Lord Cromwell and, in 1636, to Sir Francis Blundell. In 1641 the Magennises seized it; Cromwellians slighted it in 1652. The remains comprise of three distinct parts: the first, a 13th century, polygonal, upper ward with, in places, a great rock-cut ditch; it was entered by a gatehouse with one D-tower and one rectangular tower; the circular donjon has a deep well in the basement; the ramparts afford delightful views. The second is a 15th century lower ward and the third, the remains of the 17th century Blundell House. 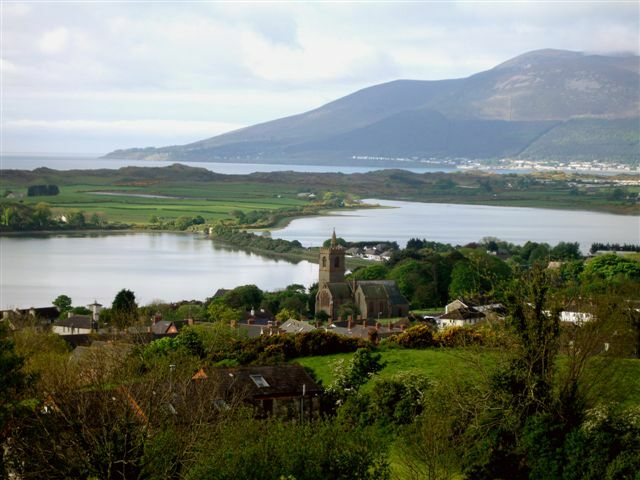 Dundrum is a real hidden gem and worth a visit on your Ireland tours.